The idols for worship as temple divinities and decoration, photo frames with difficult carvings and paintings, stools for placing the idols, fruit bowls, birds, cradles for children and variety of toys. 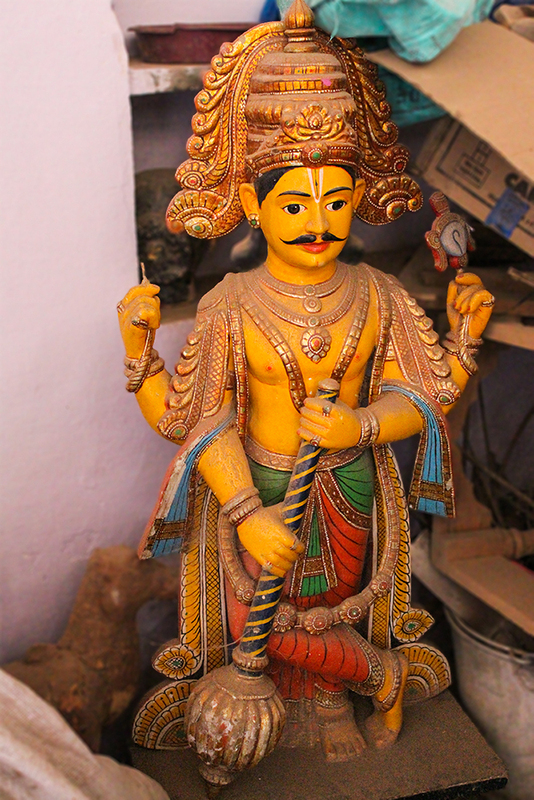 Typical Kinnal arts are large wooden idols and murals for temples. Typical pictures used for making the craft traditionally are Kaamarupi, 10 avatar of Vishnu, Scenes from the Ramayana and other prehistoric texts. 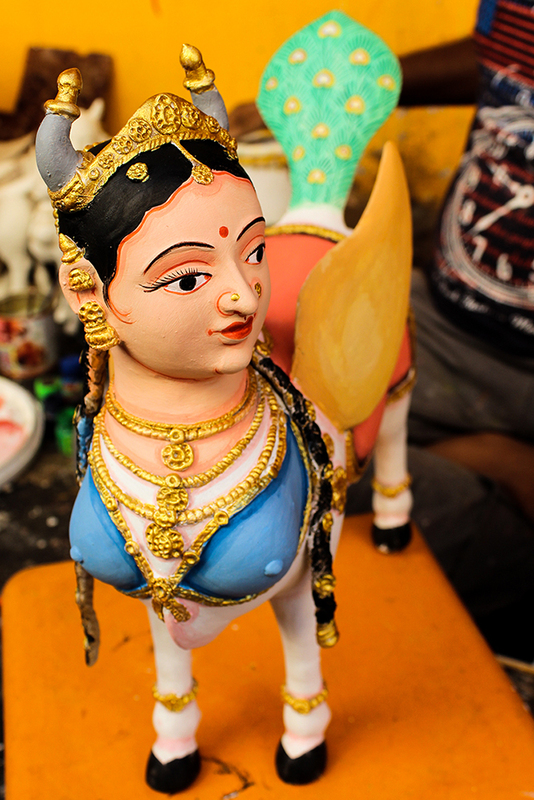 Local divinities like Maaramma, Garuda, the vehicle of lord Vishnu, Kaamadhenu, the cows who grants wishes. The price depends on the size of the product, the range starts from INR.1000 to INR.25000. Idols of the god and goddess will last for hundreds of years, whereas lifespan of toys are approximately 25 years.